Every year, the National Highway Traffic Safety Administration reports more than 6 million motor vehicle traffic crashes, more than a third of which result in injuries or death. When these injuries are the result of negligence and a prospective client seeks your counsel, will you know how to proceed? This intensive, full-day program will walk you through the key stages of an auto injury case with real-world instruction and tips. From case intake and initial investigation to settlement or trial, get the practical skills you need to steer auto injury cases toward a favorable resolution. Register today! Weed out problematic cases that will only cost you time and money. Learn the unique mechanics of uninsured/underinsured motorist coverage and claims. Find out how to calculate damages and draft a demand that grabs the adjuster’s attention. Prevent liens and subrogation interests from taking a big bite out of case recoveries. Determine how to spot bad faith insurance practices, particularly in the UM/UIM claim context. 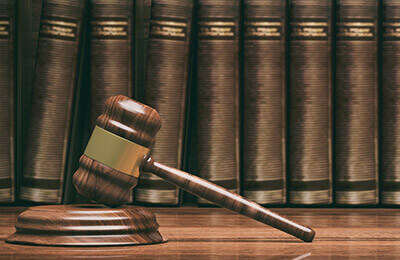 Move your auto injury case through court, from the initial filings to discovery to trial. Explore ethics issues for personal injury attorneys and learn the keys to compliance. This basic-to-intermediate level seminar is designed for attorneys. It may also benefit insurance professionals and paralegals. Sample Client Questionnaire, HIPAA Authorization, etc. What Else Can You Find Out Before the Claim?